LONDON — The rate of new Ebola cases has more than doubled since September after rebel violence in northeastern Congo caused response efforts to be briefly suspended, health officials said Thursday. In a statement, the International Rescue Committee said it was “alarmed” that there were 33 new cases between Oct. 1 and Tuesday, versus 41 cases during all of September. Most of the new cases have been in Beni, where experts had to suspend Ebola containment efforts for days after a deadly rebel attack. With multiple armed groups active in the region, health officials have said they are effectively operating in a war zone. “This is a sign not only that the outbreak is not under control, but that without full engagement from the community things could get a lot worse,” said Dr. Michelle Gayer, the IRC’s senior director of emergency health. Earlier this week, the World Health Organization noted that all of the health workers who have caught Ebola in this epidemic — 19 so far — have been infected outside of hospitals or clinics, meaning that the virus is spreading in the community. WHO has warned that the risk for Ebola’s regional spread is “very high,” pointing out that Congo’s affected North Kivu and Ituri provinces share borders with Uganda and Rwanda. WHO said the risk for international spread remains low. Although the U.N. health agency said experts this week were monitoring more than 2,100 contacts of Ebola cases in Beni, the outbreak’s epicenter, it said it had lost track of another 40. Community fears have posed a challenge as the region faces its first Ebola outbreak. 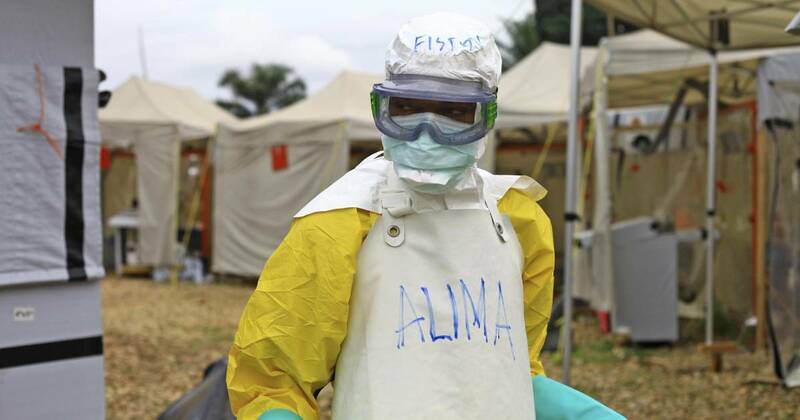 WHO said health workers were searching for a confirmed case who left an Ebola clinic in Beni and “went missing in an unsecured area of Kalunguta.” The spread of the virus to “red zones,” where the threat of armed groups makes health efforts almost impossible, is a major concern. Congo’s healthy ministry says that to date there have been 159 confirmed cases, including 87 deaths. More than 15,000 people have been immunized with a novel vaccine since this outbreak was declared on Aug. 1.
WHO said health workers burying Ebola victims, whose bodies are infectious, have encountered “a new level of aggression” from communities and that efforts to safely bury people have stopped in certain areas. April 7, 2019 Comments Off on Germany’s economy: Should we be worried?